It is with great sadness that we have to inform you that Shihan Cyril Cummins 8th Dan, Chief Instructor and founder of Birmingham and Halesowen Shotokan Karate Club has passed away after a short battle with cancer. Shihan Cummins was a pioneer of karate in the West Midlands originally starting training in 1964 initially gaining his shodan in 1966 with the Budo of Great Britain. After training with sensei Hirokazu Kanazawa he later retook his shodan with the KUGB / JKA in 1968. He continued to grade with the top Japanese sensei within the JKA receiving his 6th Dan from Sensei Keinosuke Enoeda. Shihan Cummins remained with the KUGB / JKA for many years as a senior instructor, grading examiner and national referee. During this time he was a constant fixture at Sensei Enoeda’s Crystal Palace training courses, training on every one of Sensei Enoeda’s courses from 1967 until Sensei Enoeda’s death. He was also a regular instructor in Sweden for the Spring Course for almost two decades. He appeared on the covers of Combat, Traditional Karate and Shotokan Magazine being inducted into the “Combat” and “Martial Arts Illustrated” Halls of Fame as well as appearing many times in the press and media. Shihan Cummins was known as the Trainer of Champions, training many champions over his over 50 years of training including National, European and World Champions including renowned competitors such as Sensei Ronnie Canning and Sensei Ronnie Christopher. Many of his students have also gone on to become instructors in their own right continuing his legacy in karate. After leaving the KUGB, Shihan Cummins continued to teach his brand of fierce, no nonsense traditional Shotokan karate for which he was famed at BHSKC introducing and inspiring new generations of students in Shotokan karate as well as the bo, sai, tonfa and other weapons. He celebrated his 50th year of karate training in 2014 having previously being awarded his 8th Dan in 2013 by NAKMAS. As a sign of respect and acknowledgement of his great contribution to karate upon receiving his new rank, his senior students decided to use the honorific title of “Shihan” when addressing Sensei Cummins in class at BHSKC. Shihan Cummins agreed to this but was never a stickler for ceremony and was happy for his students to address him as both “Shihan” and “Sensei”. The BHSKC Team would like to extend our deepest condolences to his family, friends and present and former students he will be sorely missed. My Father, George E Mayes, myself, George R Mayes, also both of my brothers, Roger Mayes and Barry Mayes, had the upmost respect for this man. A very big loss for the world of Karate. Such a loss. Knowing that you will never train again with such a great Sensei and father figure and friend. Sad news. Condolences to all of his family and friends. I trained under sensei Cummings many times during the early years of my karate journey. He was a real inspiration to me and I will remember him with fondness. All my condolences for one of the greatest and most humble instructors. He will be dearly missed by the karate world. Very sorry to hear this news. Condolences to his family, freinds and students. Goodby Cyril. You go as a legend and a great inspiration to all those that knew you and trained with you. Illness forced me to stop training a few short years ago, but you made within me great respect for you and your input into my life. RIP Sensei, To many fond memories to list, suffice to say you were a great inspiration to me personally and many others, you will be sadly missed. Just picked up on this sad news today after returning from a course in Spain. I would like to pass on my condolences to his nearest and dearest, and add that Cyril was a fine man and a friend to all. Hejdo Cyril och tack. End of an era cyril was a true motivator in the dojo. He knew how to get the best from all of his students we will miss him greatly. Cryil did what he loved and he loved what he did, Not many people can achieve that in life. Our condolences to all the family and friends. We are proud to call him our friend he was OUR cyril. 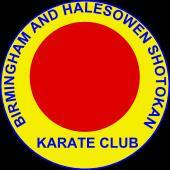 With many happy memories training at birmingham and the crystal palace courses with sensei enoeda. From all his friends at the burton and swadlincote clubs. My belated condolences to Cyril’s family on hearing of the loss of such a great man, Cyril left an impression on all who knew and trained under him, leaving fond memories that stay with you for life. “Never give in & Never surrender” RIP Cyril, a very big loss for the world of Martial Arts. and honour to an angry and insure teenager in the early nineties. A part of you lives with me forever, Sensei. When I am on the path it is because you put me there. If you only knew what this scumbag was like!